Did you know that superheroes actually exist? They’re not humans, spirits, or aliens, but rather aquatic animals dwelling in the depths of the sea, or inhabiting the tranquil waters of rivers and ponds. Hagfish may look like weak creatures that can be easily preyed upon by bigger animals like seal sharks, but do not let their appearance deceive you, as they are highly skilled in preserving their lives. When attacked by predators like conger eels and sharks, hagfish release a slime that clogs their enemies’ gills and mouths, causing them to retreat. With this superpower, hagfish can easily defeat animals that are ten to a hundred times bigger than them! Aside from this simple-yet-effective defense mechanism, hagfish are also known for their unusual eating habits. These sea creatures do not only feed with their mouths, but also eat with their gills and skin. 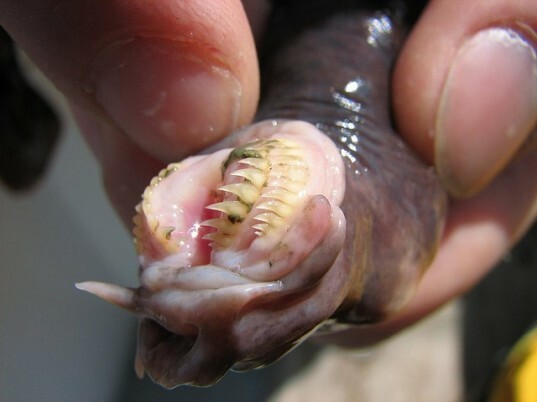 Hagfish are the only vertebrates known to eat in this bizarre manner. They usually go inside the bodies of dead animals where they feast on the flesh through their mouths, skins, and gills. 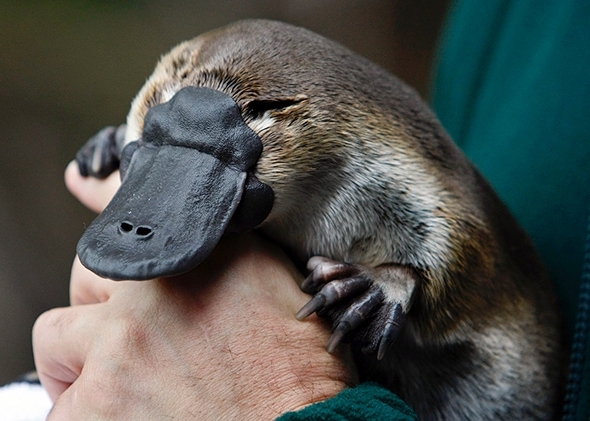 What makes the peculiar platypus a superhero is its amazing ability to determine the exact location of its prey. It does this by detecting the electric impulses and pressure changes its prey creates when moving underwater. Unlike most animals, the platypus does not use its ears and eyes when hunting for food, since they automatically close when it dives underwater. Instead, it solely relies on its bill to help it determine the location of its prey. This bill is filled with 60,000 mechanoreceptors and 40,000 electroreceptors. With the help of these hyper-sensitive nerve endings, the platypus can easily determine the exact location of its prey. Electric eels got their name from their super ability to discharge electricity from their bodies. When an eel feels threatened or sees a prey, it discharges 600 volts of electricity, strong enough to knock down a horse or leave a man unconscious. Electric eels owe their superpower to their electrical body parts, which contain special kinds of cells called electrolytes. These electrolytes function like small batteries, enabling eels to emit electricity underwater. As proof of their power, some institutions are harnessing the electricity produced by electric eels to power simple electrical equipment like light bulbs. Also, theoretically speaking, the electricity emitted by electric eels is sufficient enough to power electric vehicles. The mantis shrimp may be small, but it sure is remarkably strong and fast. This animal can easily shatter an aquarium glass and break the hard shells of certain animals like snails. If that isn’t enough to make you believe in the supershrimp, then consider this: by using a high-speed camera, researchers have discovered that this incredible animal is capable of striking its forelimbs at speeds of 31 – 52 miles per hour. Batman couldn’t hit you that quickly! The cuttlefish is a squid-like creature considered by many scientists to be the ultimate master of disguise. It possesses the ability to alter its appearance in the twinkling of an eye, and adapt to its surroundings very easily. It can create the perfect camouflage, one that would put the chameleon to shame. It can easily imitate the appearance, and even the texture of anything that it sees such as rocks. It can even produce zebra-like patterns on its skin. 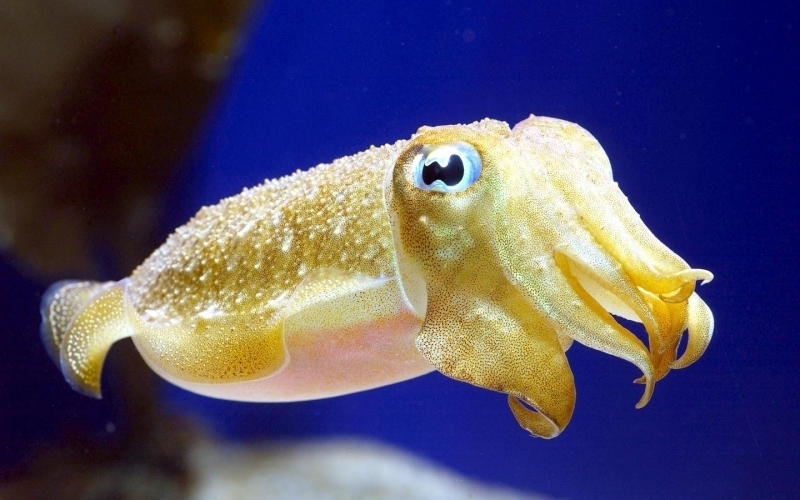 So how does the cuttlefish pull off such a feat of magic? The answer lies on the pigment cells found on its skin, called chromatophores. Scattered all over the animal’s body, these chromatophores enable the cuttlefish to alter its color and overall appearance very quickly. All this while it itself is color-blind. African hairy frogs, commonly found in Cameroon, are the Wolverines of the wild in that they can break their toe bones and transform them into claws when they feel threatened. 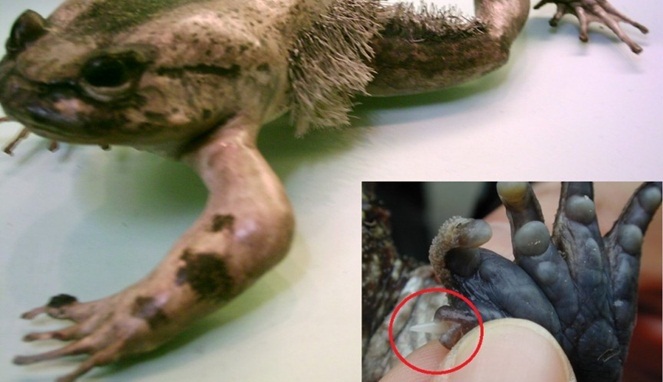 Just like the X-Man, the African frog’s claws bursts from its skin, ready to attack. Sadly, there are those who would gun down these frogs, just to make sure that they are incapable of unleashing their painful weapon. Some even use machetes or spears when hunting these animals, since they can cause such serious injury. Every hero must have an archenemy, after all. Planarians may seem insignificant compared to other animals, but they possess one special ability that makes them highly valuable to scientists and even to some of us. Namely, that these small flatworms hold the key to immortality. Researchers have discovered that these tiny creatures have the god-like ability to regenerate themselves infinitely. If a planarian loses its head or tail, it can easily regrow it back. This uncanny ability is also common in other animals like lizards, cockroaches, and starfish, but what makes the planarian extra special is that it can also clone itself. If you cut a planarian into two, the two divided parts will regenerate and become two new different planarians. No matter how many times you cut them, planarians will never die. Instead, they will just regenerate and clone themselves over and over again. How do they do it? The answer may lie in the fact that they are made up of cells quite identical to stem cells. Planarians can transform their stem-like cells into any specific type of cell needed by a damaged or lost body part. The archerfish has what amounts to a gun buried in its body. Of course, it doesn’t shoot bullets, but instead emits high-speed streams of water, strong enough to knock down and kill its prey. 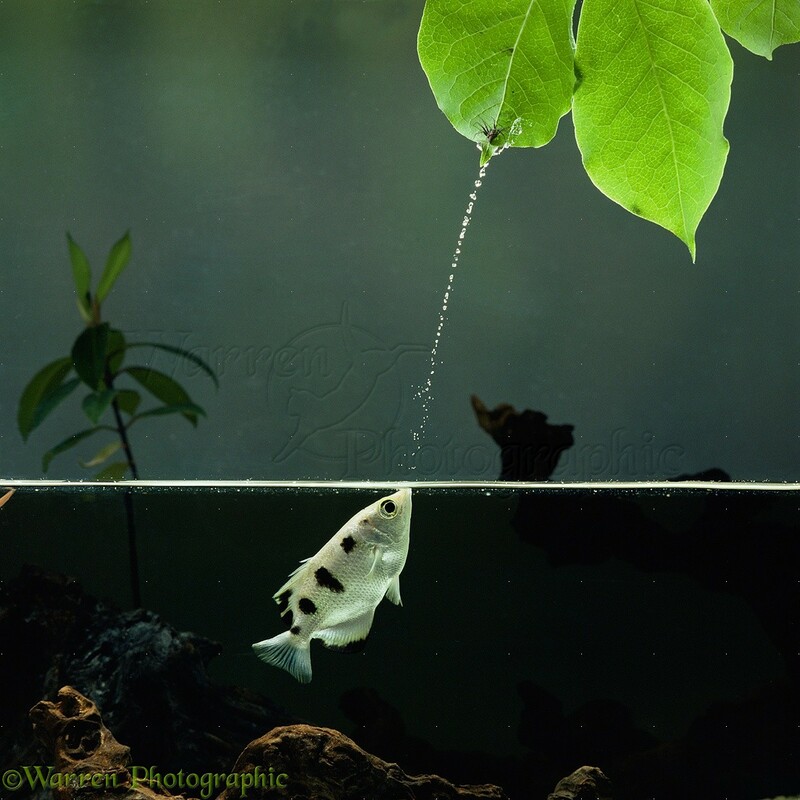 Once the insect falls into the water, the archerfish then immediately swallows it. The archerfish is a very accurate shooter, and can usually hit its targets during the first try. Also, its water shots can reach a height of five feet. The archerfish intuitively takes into consideration some complex physics when hitting its target, such as gravity, refraction, and even the Plateau-Rayleigh instability. Just like planarians, sea cucumbers can heal and regenerate themselves too. It is interesting to note that their regenerative and healing mechanisms closely resemble that of the human body. But unlike the seemingly immortal planarians, these sausage-looking sea creatures cannot heal all kinds of wounds, and they cannot clone themselves. However, despite some limitations in their powers, sea cucumbers still deserve to be in this list due to a recent remarkable discovery made by scientists—sea cucumbers can cure cancer. Researchers have found out that these aquatic creatures can kill cells that cause prostate, liver, breast, pancreatic, and skin cancer, thanks to a built-in chemical compound called Frondoside A. Furthermore, they can boost the body’s immune system, helping the body fight and stop the spread of cancer cells effectively. Most of us know that salmon go back to the place they were born, just to spawn. That means travelling more than 2,485 miles, navigating through strong currents, jumping over various environmental obstacles, and passing through predators like grizzly bears. It’s the remarkably mysterious and arduous journey that salmon take for the purpose of mating and spawning that make them superheroes in the animal kingdom. For many years, no one knew how salmon can navigate their way back to the places where they were born. These animals start their lives in fresh water, but spend most of their adulthood wandering in the ocean. Just recently, researchers have discovered that salmon use the Earth’s magnetic field to help them determine the exact location of their birthplace. When it’s time to spawn, they navigate the sea, looking for the areas that have the same magnetic fields imprinted in their brains. This ability helps them to distinguish the right area from hundreds, if not thousands, of possible locations from where they could have entered the ocean.